Sharon Naranjo Garcia (b. 1951) is a granddaughter of Christina Naranjo. 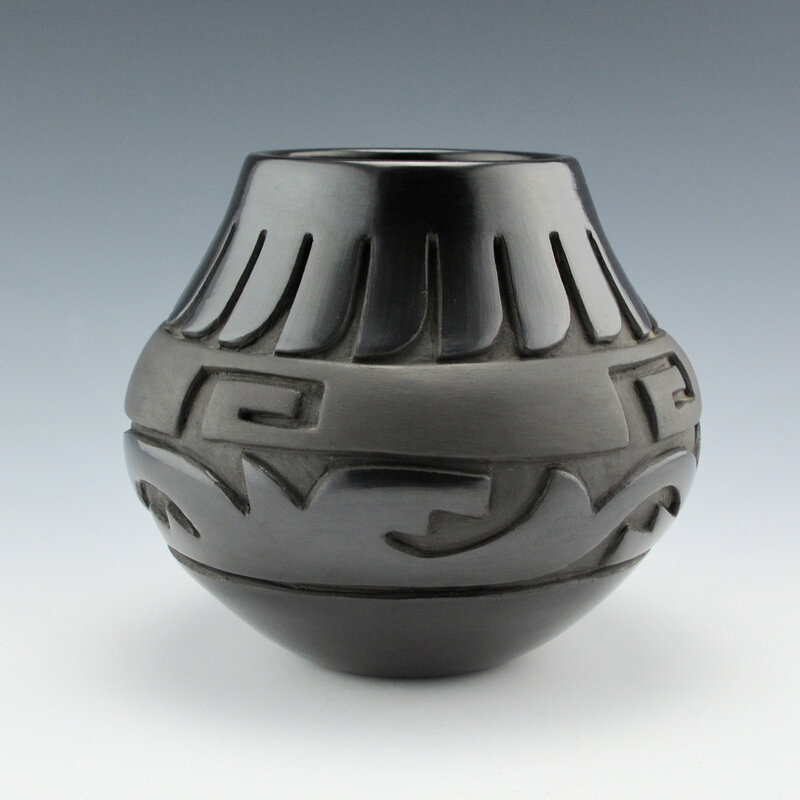 She learned to make pottery from her grandmother and is known for her traditional style of pottery. 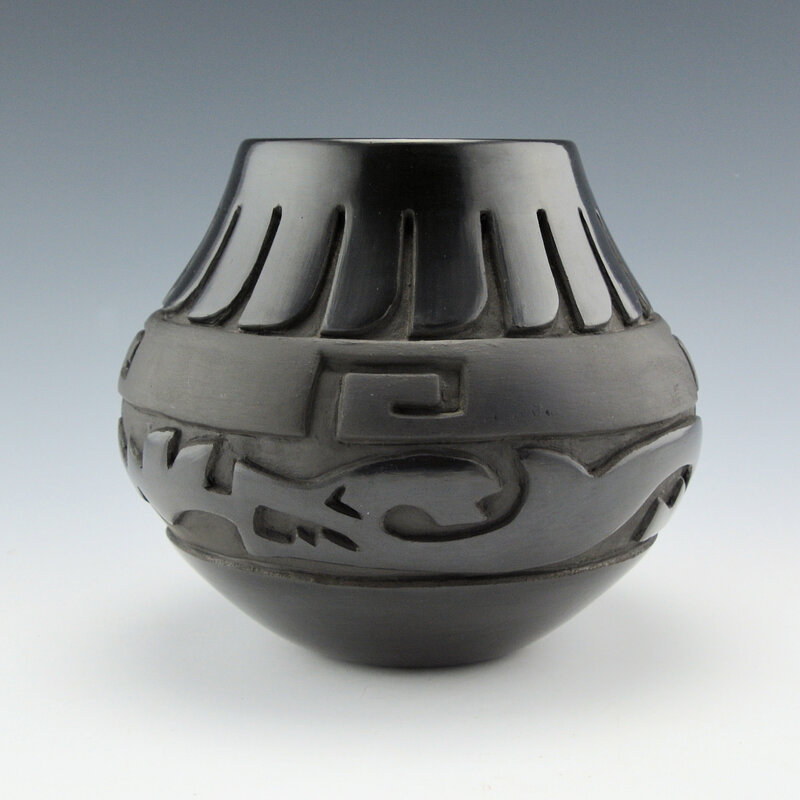 This jar is a classic Santa Clara shape with the wide shoulder and sloping neck. The neck is carved with a feather pattern and stone polished. The central band is matte and carved with four cloud designs. 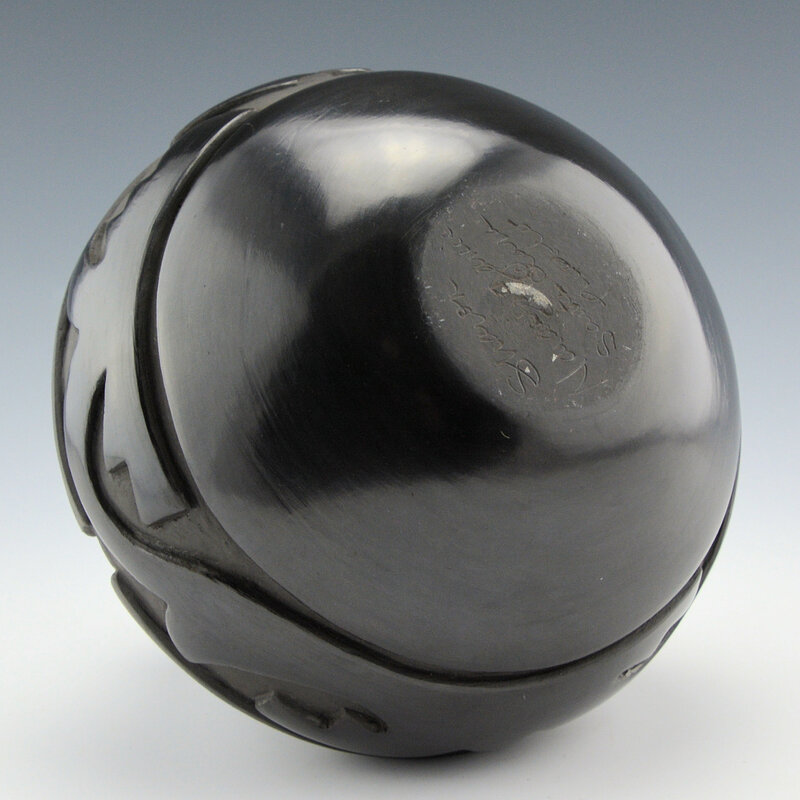 Below that matte band is a carved water serpent (avanyu) and it is stone polished, as is the lower section of the bowl. It is fired a deep black. 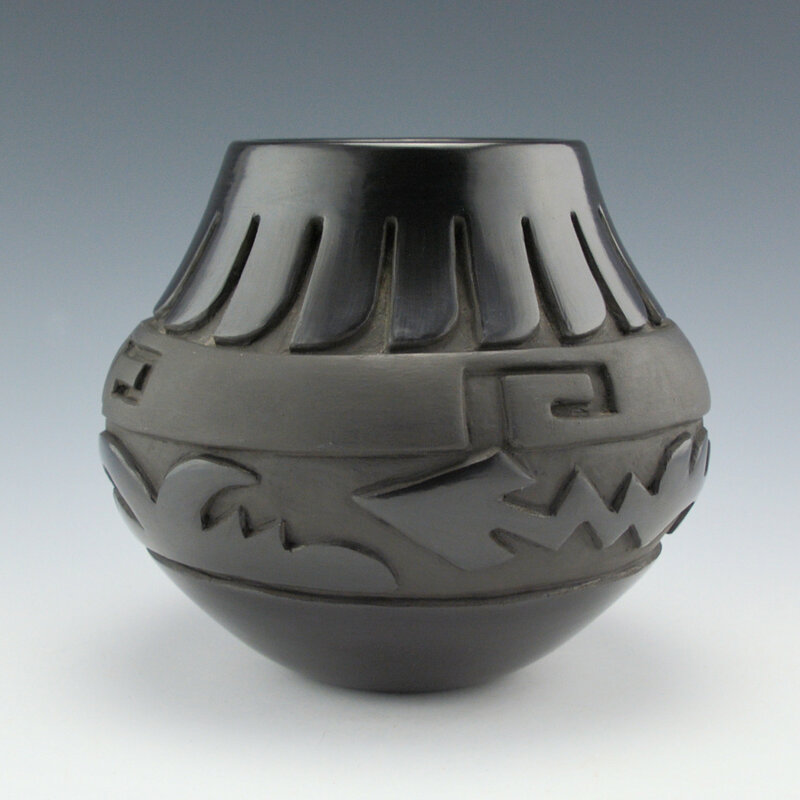 The bowl is signed on the bottom in the clay, “Sharon Naranjo Garcia”. It is in very good condition with no chips, cracks, restoration or repair.